Since 1981, Deer Valley Ski Resort has become known for revolutionizing ski area service, striving for the best guest experience possible. In 2002, DV hosted part of the Winter Olympics. 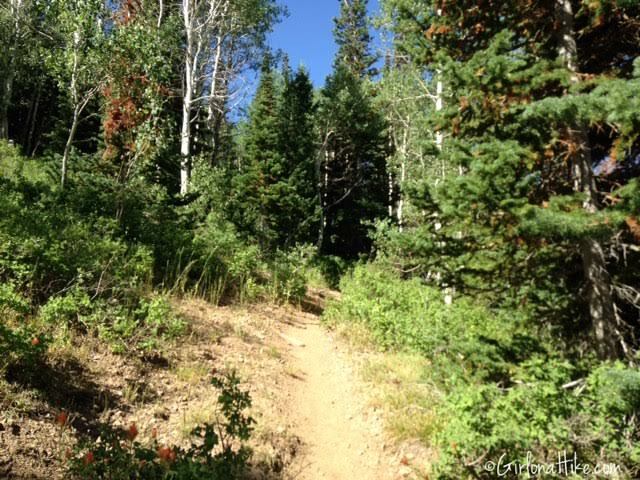 In Summer months, Deer Valley has a forest management plan that is an ongoing project to enhance the heath of the trees. By thinning trees and cutting dead-fall, it creates an environment for the forest to flourish. 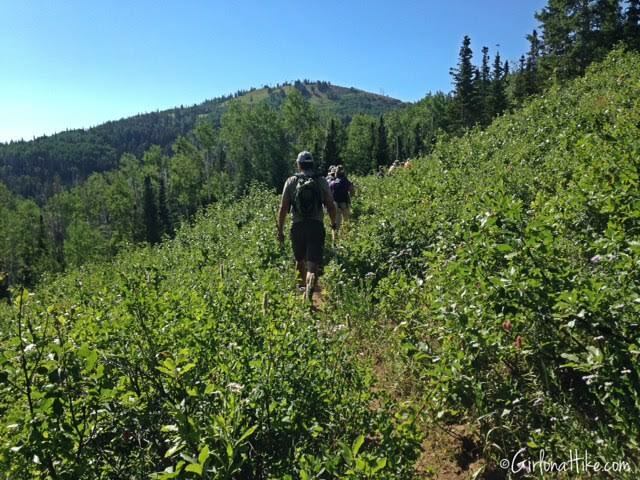 This also helps to create a great hiking environment for visitors as well - trails are well marked, and are clean and very well taken care of. 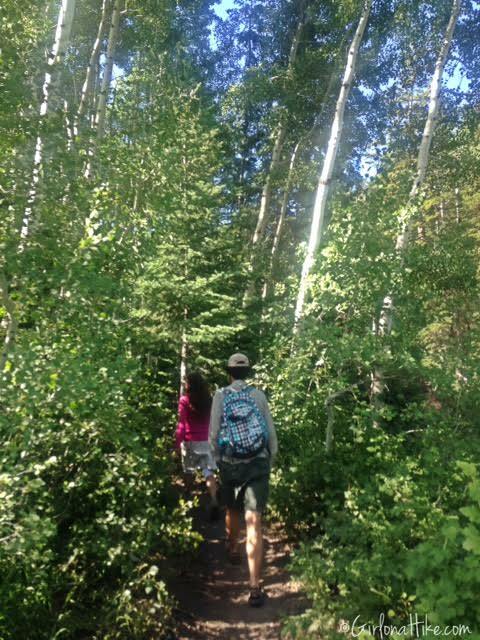 Deer Valley has four hikers-only trails: Red Cloud, Silver Lake, Ontario Canyon, and Sultan Out & Back. 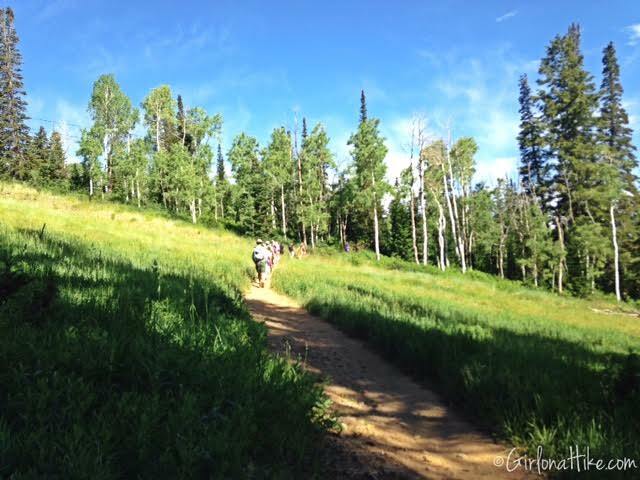 All other trails allow mountain bikers, so be careful when hiking on those trails. 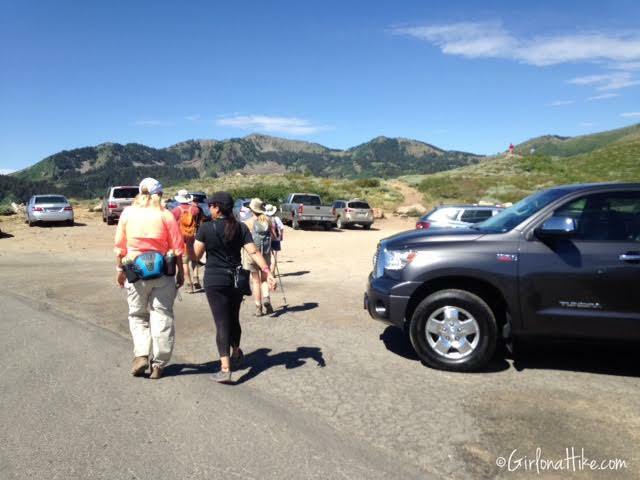 The order of right away is horses first (you will hardly see those at DV), moose (you may see some in the early morning), mountain bikers, then hikers. 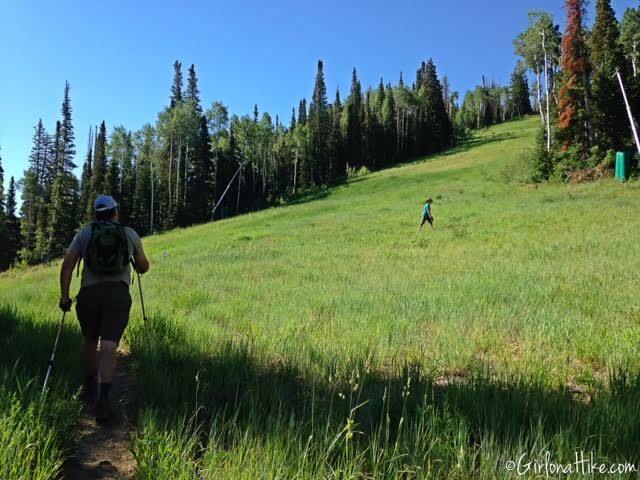 Always stand off the trail to let others pass you, and don't get close to wildlife. 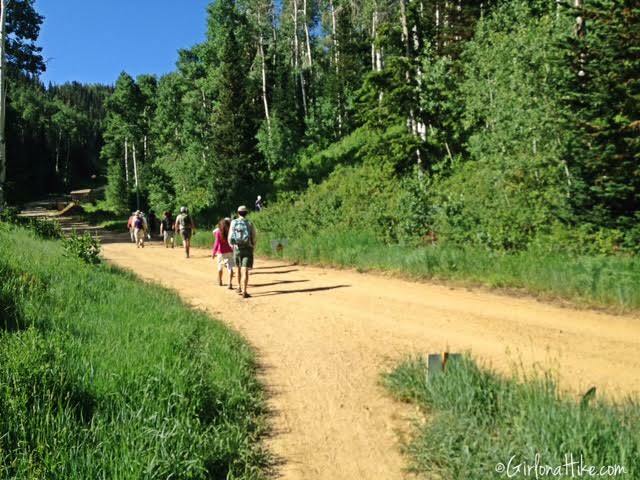 Here's a summer trail map. From SLC, head East on I-80 through Parley's Canyon, and take exit 145 for Kimball Junction. Drive 6 miles, then turn left on Deer Valley Dr (at the corner of Jan's and the stop light). This road will curve right. At the round-a-bout, continue straight onto Marsac Ave (the speed limit is only 25 MPH since you are driving past homes). Drive another 2 miles, then turn left onto Guardsmans Connection. At the first stop sign (Royal St.), turn right. Drive another 0.2 miles until you see the parking lot on your right. It's free to park here. 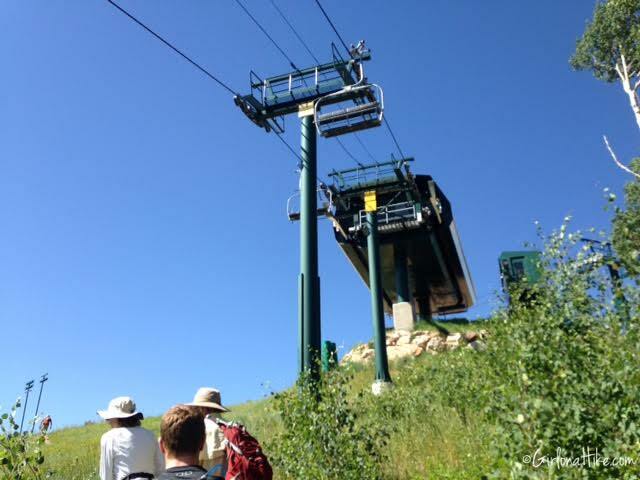 Walk over to Silver Lake Village where the trail begins at the Silver Lake lift. Restrooms are available in the village. Here is a map. From the Silver Lake lift, head right and under the bridge. 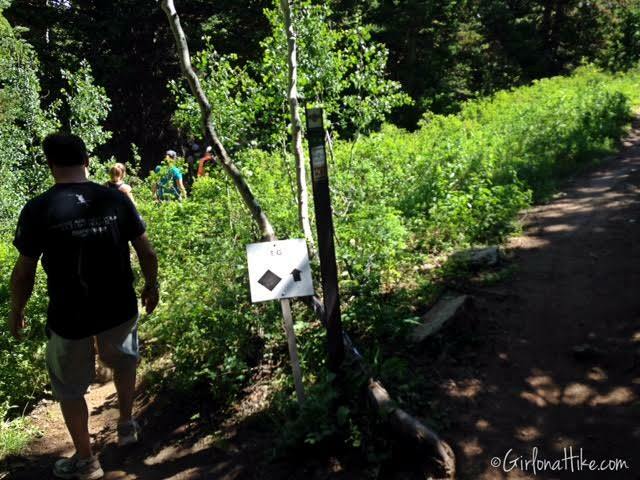 You'll see the sign for Mid-Mountain Trail to the left - follow this. 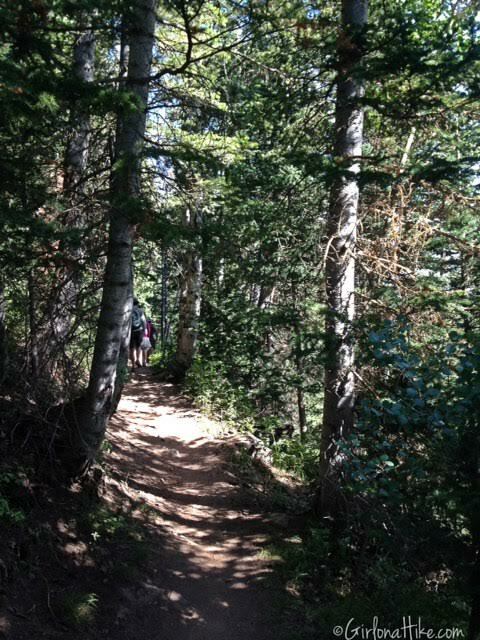 The trail is really well shaded. Cross the dirt road, and pick the Mid-Mountain Trail back up to the right. 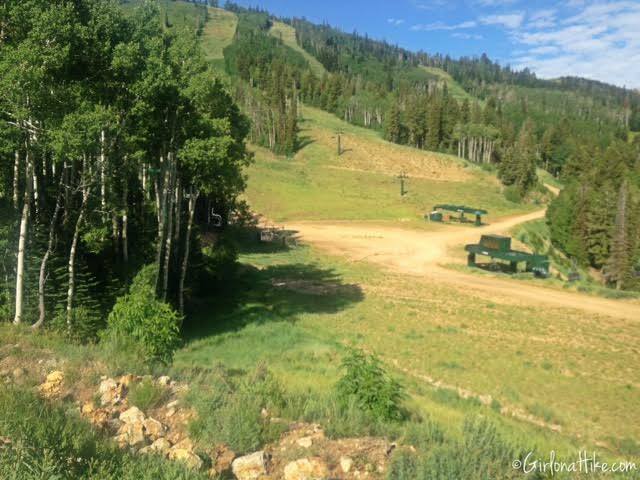 You'll hike across several ski runs and hike under chair lifts. 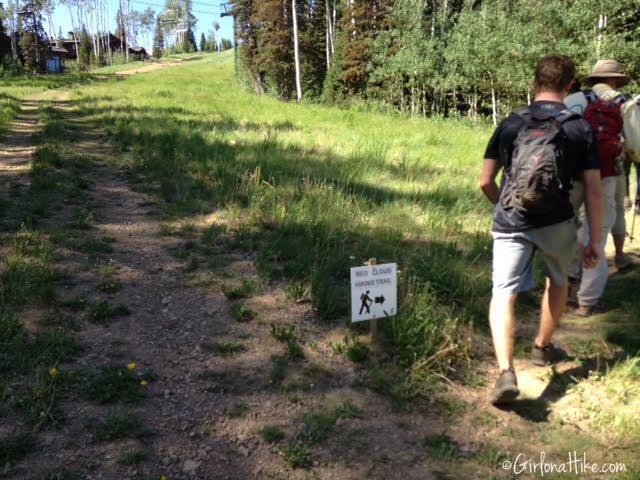 Follow the signs for Mid-Mountain Trail. 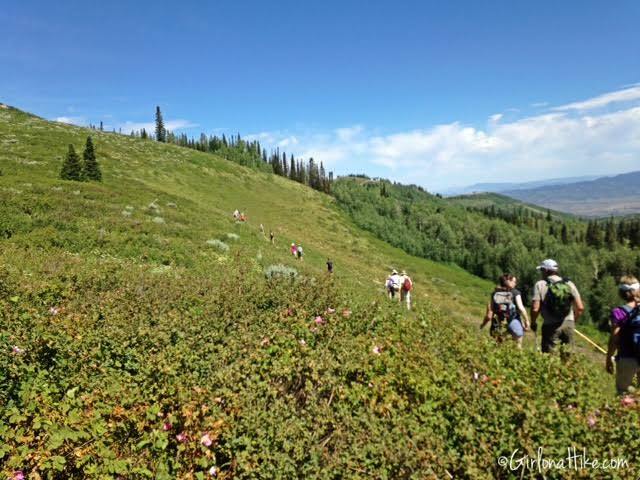 The Mid- Mountain Trail is actually 18.8 miles one way, and crosses all the ski resorts in Park City. On this loop, we only follow a section of it for about 1-1.5 miles. 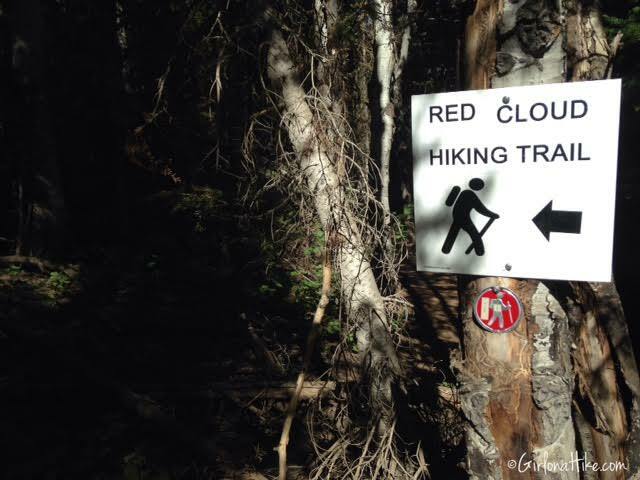 Turn left and uphill when you see the Red Cloud Trail sign. 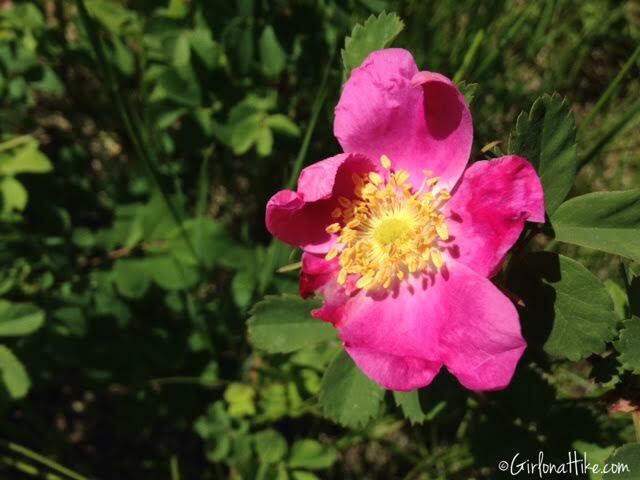 As soon as you turn left, the trail makes a series of small switchbacks, through fields of flowers. 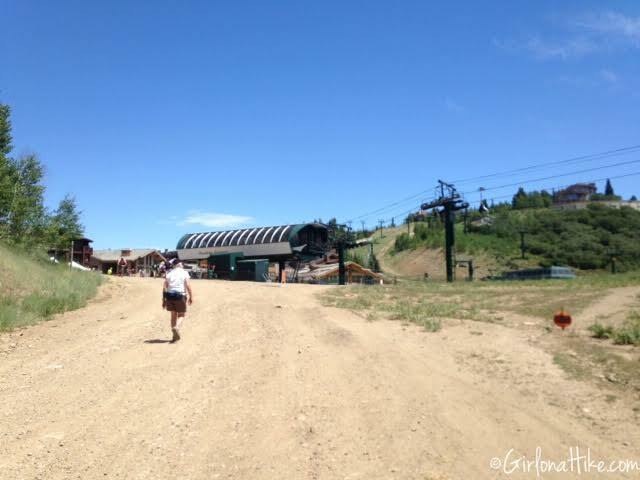 You'll hike across more ski runs. 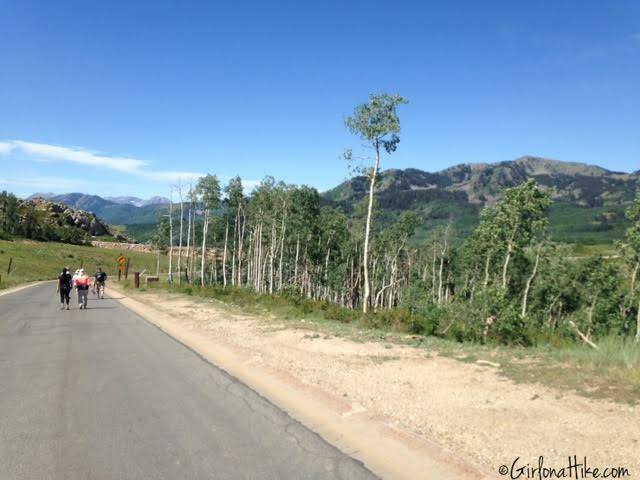 Lots of aspen and pine trees! 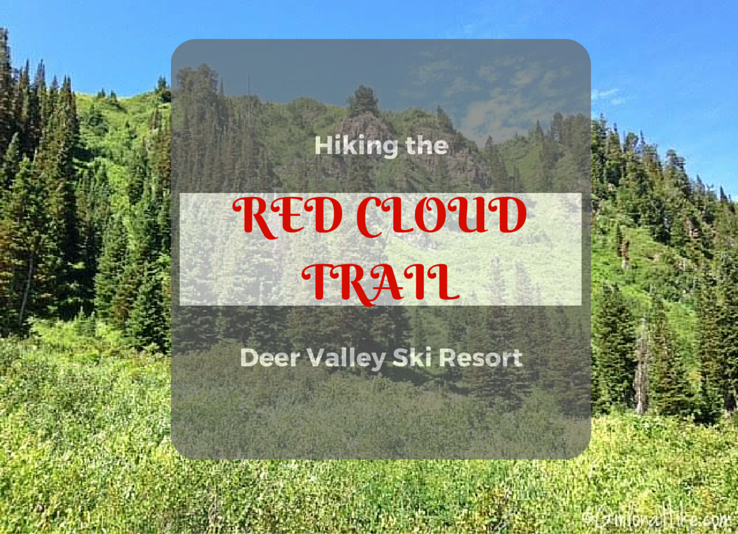 About half way up the Red Cloud Trail, you'll be more exposed to the sun. Be sure to bring plenty of sunblock and water. You'll come upon another dirt road. Continue straight. 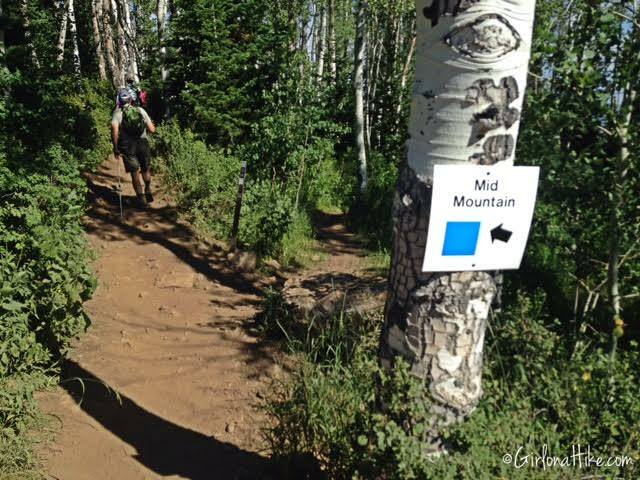 Follow the signs for Red Cloud Trail. 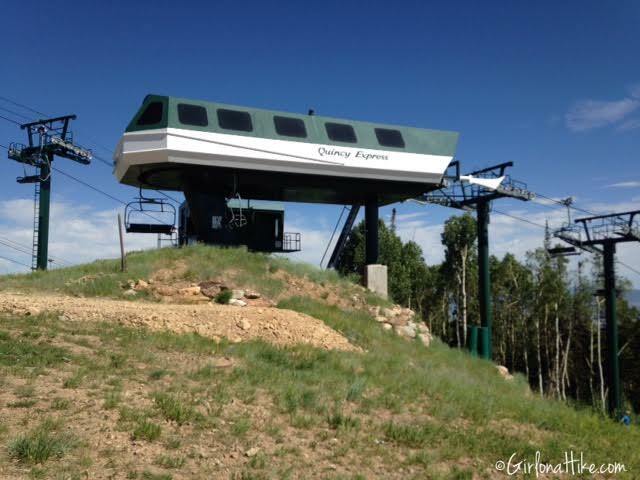 You'll end up hiking under the Quincy Express lift. 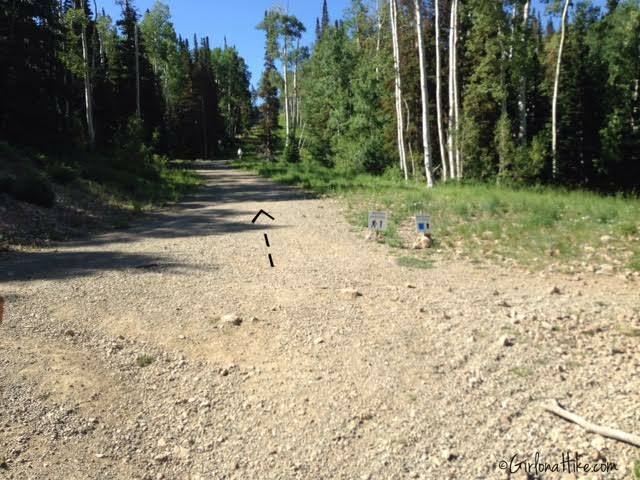 Once you reach the open area of the Quincy Express lift, turn left, and follow the dirt road. For a shorter loop, you could download onto the Ruby lift, just to the left of Quincy. 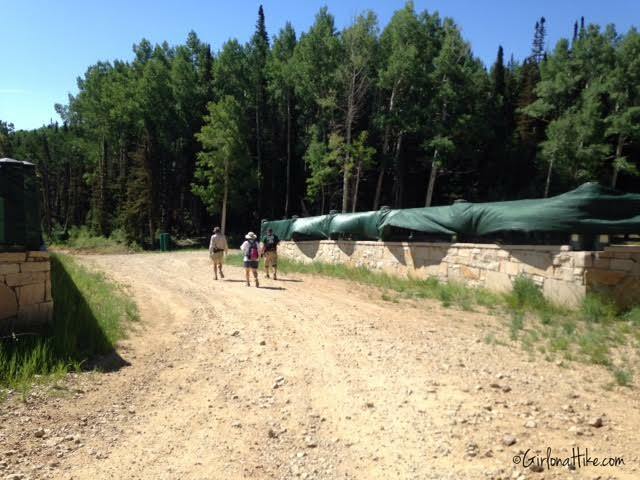 Hiking by the very large home being built right on the ski run. Yes, this will be someone's home! At this point, you will now be leaving the Red Cloud trail, and using dirt and paved roads to hike over to a trail called "T.G." through the Empire area of DV. Cross the bridge, and immediately turn right. You should now be walking on the paved road. 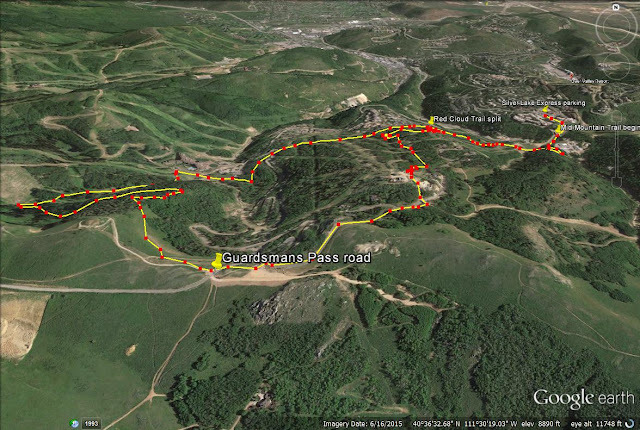 And in about 10 minutes, reach a popular parking area along the Guardsmans Pass Road. 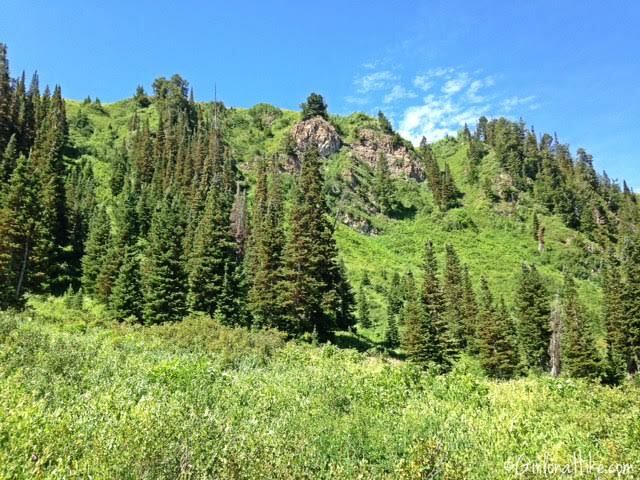 You will have an excellent view of Clayton Peak! The actual mine waste rock can be see from this area on Guardsmans Road, to the East. The trail continues NW from the parking area, and the trail is now called "T.G." Follow the signs for T.G. down, to the left. Passing by some of the famous ski chutes. They look a little different in summer! 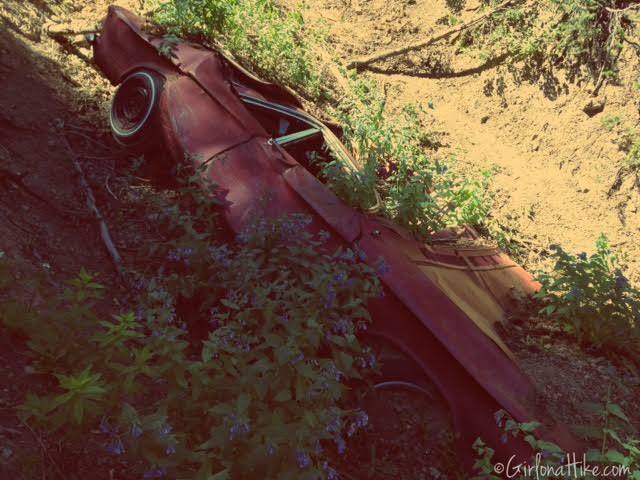 This 1970s Chevy Corvair is located in the mountains of Deer Valley. The actual location will not be described so that no vandalism occurs. Some things are meant to be protected! 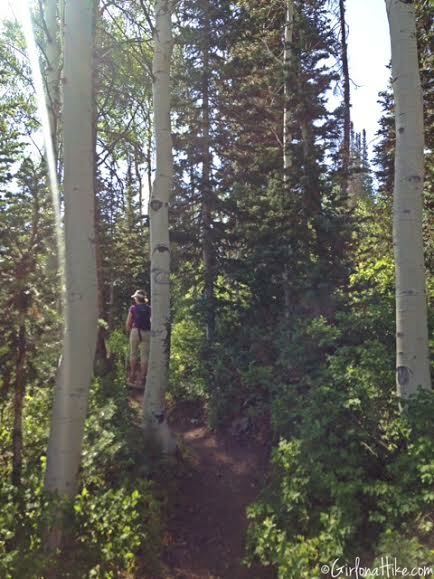 The trail continues down, and you'll pass the Montage Resort. 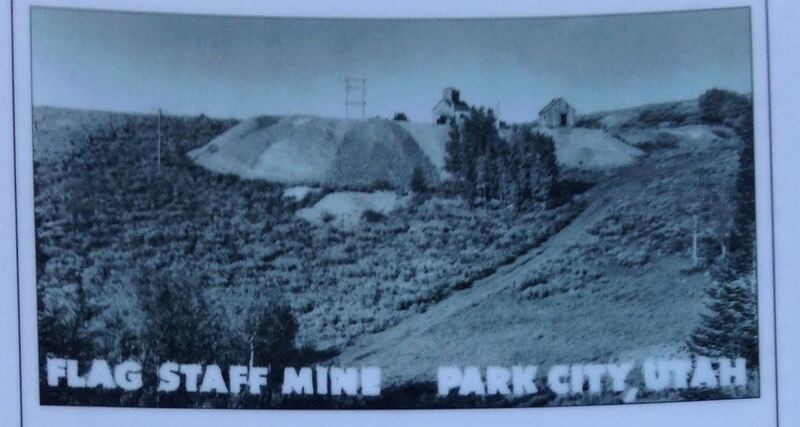 The structure on its side is the Daly-West Mine, built in 1891, reached a depth of 1,500 ft. 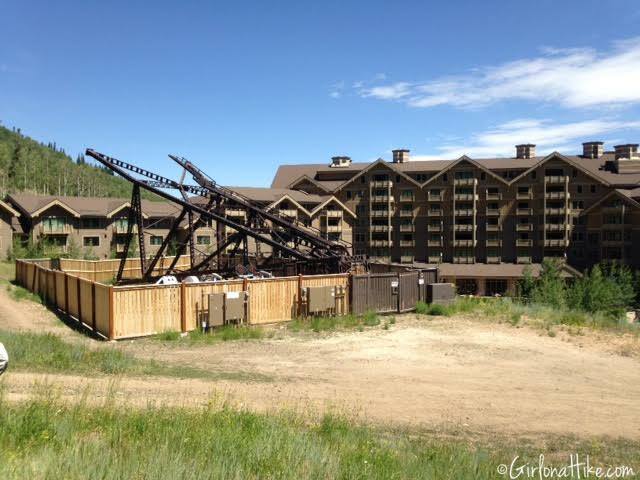 In 2015, from heavy rains and saturated grounds, the Daly-West "headframe" (or top of an elevator shaft) toppled over. There is a big debate on whose responsibility it is to either remove the structure or rebuild it for history-sake. As soon as the structure fell, the Friends of Ski Mountain Mining History was created to help protect and preserve the legacy of historic mining structures in the Park City area. 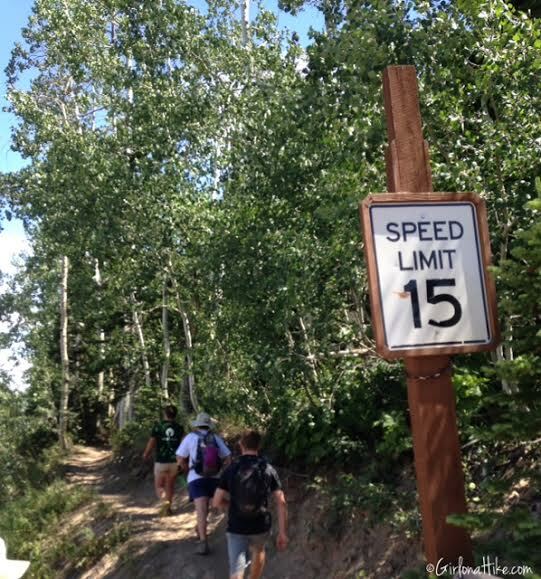 Just before this sign, where the trail picks back up, you'll now be on the Mid-Mountain trail once again, and you'll cross over a paved road by the speed limit sign. 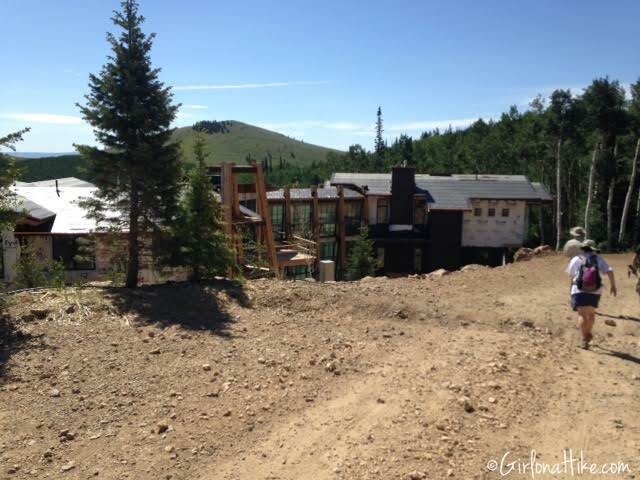 Back at the Silver Lake Express lift, creating a 5.5 mile loop! Tip: The Royal Street Cafe has the most amazing, homemade mint Lemonade - a tangy treat to sip on after your hike. You can sit in the Adirondack chairs in the village and watch the mountain bikers fly down the mountain. And for your post-hike calories try the Maple Bacon BBQ Bison Burger - so mouth watering and tasty! 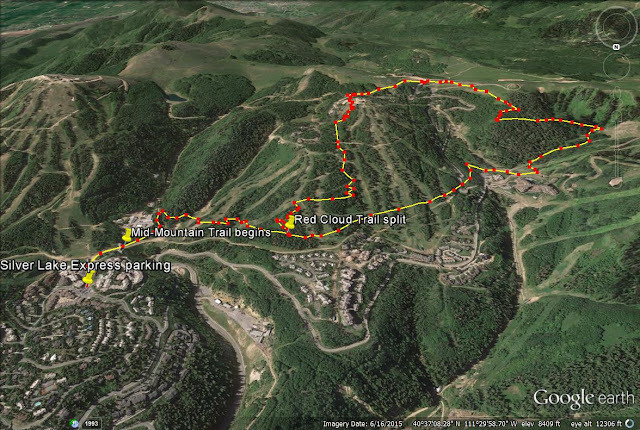 Here's a trail map of the Red Cloud Trail loop, looking South. Another trail map looking North.